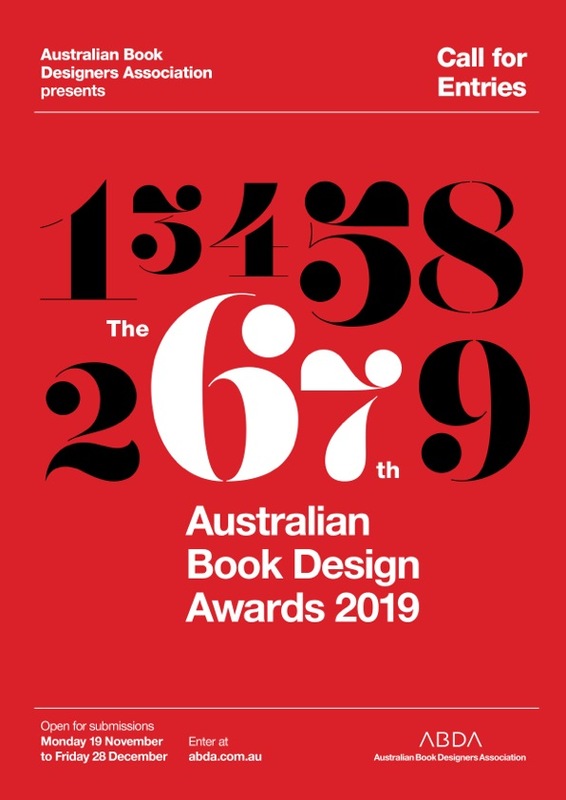 The ABDA Committee is delighted to announce the 67th Australian Book Design Awards are now open for submissions! The Australian Book Design Awards celebrate the bravest and brightest, the most original and beautiful books published in Australia each year. The competition is open to books designed and published for the first time in Australia between 1 January 2018 and 31 December 2018. Entries are open in sixteen categories, including Emerging Designer of the Year, Best Designed Auto-biography/Biography/Memoir Non-Fiction Cover and Best Designed General Non-fiction Book (including Scholarly and Reference). For full entry details please download the Submission Guidelines (PDF). Subscribe to ABDA’s email newsletter for updates. Entries for the 67th Annual Book Design Awards 2019 closed on Friday 28 December 2018.